Update: I can officially call this my award-winning soup, since it won the soup contest at my husband's workplace. Woo! 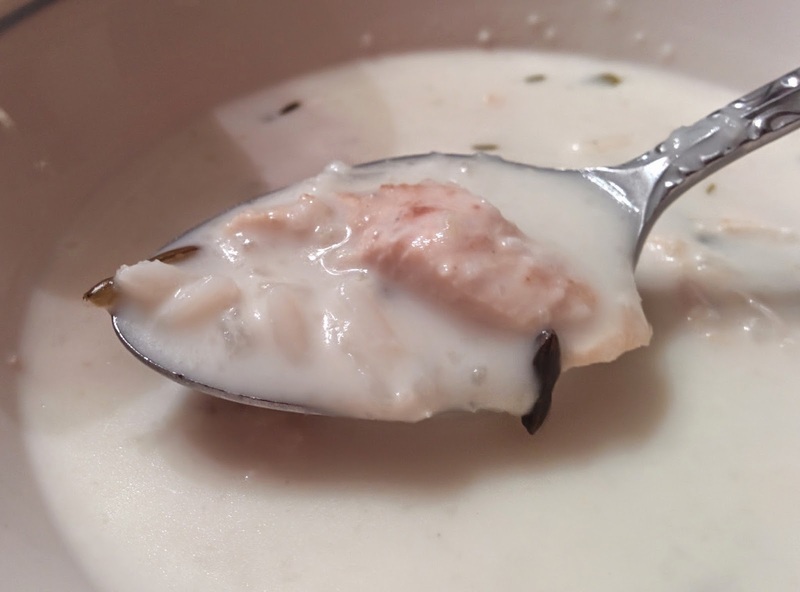 Yeah, this is bragging, but this is the best recipe for cream of chicken soup bar none. This recipe makes about 12 cups- just enough to feed our family. Enjoy. Yeah, this is bragging, but this is the best recipe for cream of chicken soup bar none. That's just my opinion, of course. 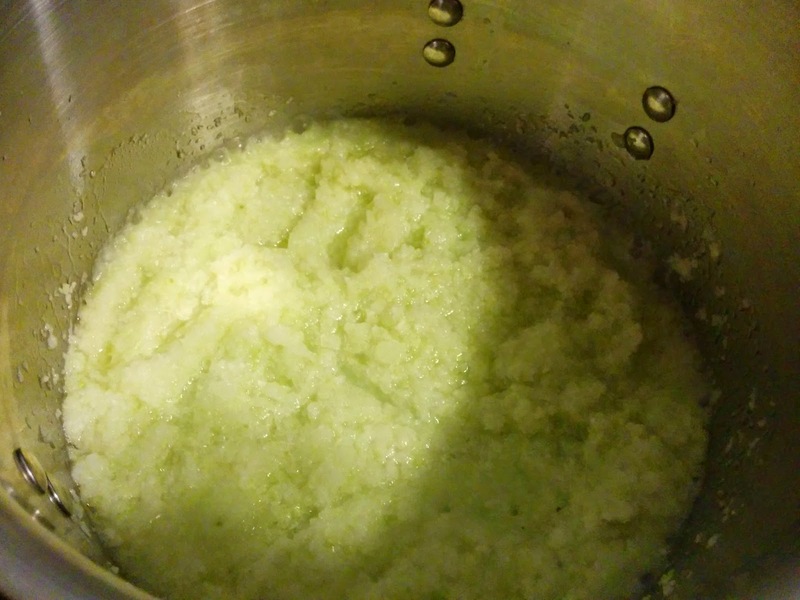 Puree onion, celery, and garlic in food processor. In stockpot heat 2 tablespoons olive oil over medium-high heat and add puree; sweat 10 minutes. 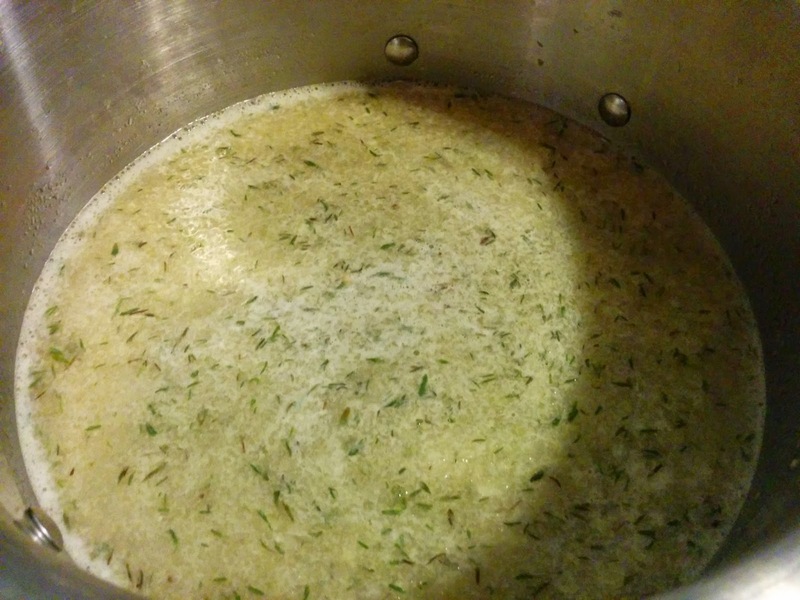 Add wine, and reduce about half, another 5 minutes; add thyme, wild rice, chicken broth (and brown rice if you're using it). Bring to a simmer and cook 40 minutes. While it's simmering, sear chicken in a cast iron pan over high heat - you're not trying to cook it through, just get nice color on the outside. Cut into small 1/2 inch cubes. After the 40 minutes add the chicken breast and white rice and simmer an additional 20 minutes. Add cream and salt and pepper to taste, add cornstarch mixture and stir until thickened. Serve with crusty bread or dinner rolls and a nice white wine.